Written and directed by Oscar-winning brothers Joel and Ethan Coen, Inside Llewyn Davis offers a glimpse into the life of singer-songwriter Davis (Oscar Isaac), who navigates New York's folk music scene during the early 1960s. With original music produced by Oscar/Grammy winner T Bone Burnett, the film details the permutations and confabulations of this music scene as huge transitions come into play that will not only affect the music but the world at large. Laden with a sterling cast that includes Carey Mulligan, Justin Timberlake, Garrett Hedlund and John Goodman, the film is built less around a flowing narrative and more of a set of interconnected vignettes that offers a kaleidoscopic experience of that time and place. The film not only offers a sterling set of songs, but a well-played shambling performance by Isaac of a man in perpetual collapse. 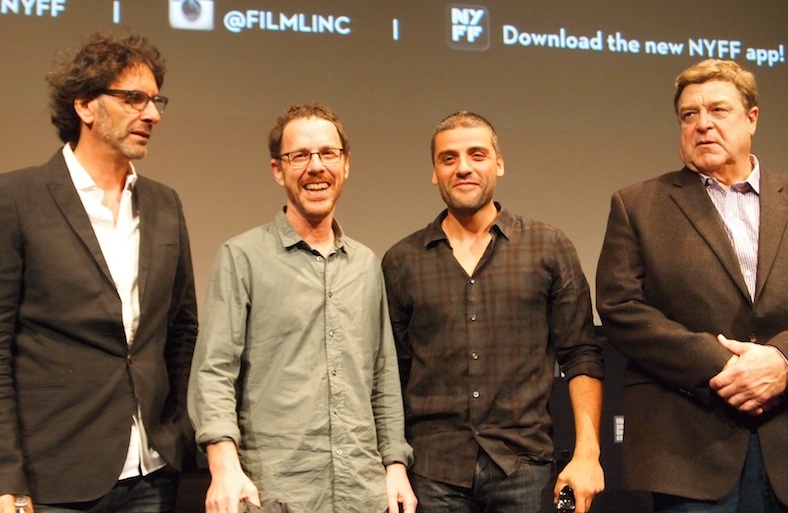 Isaac, Goodman, the Coen brothers and Burnett took the Walter Reade stage at the 2013 New York Film Festival press conference for Inside Llewyn Davis and gave all involved a unique performance. It was a preview not only for the premiere of this film, but for a special concert of music inspired by the film that was to be recorded and released as a concert film in its own right. The following Q&A is modified from an appearance before the press preceding the premiere. During the film's genesis, when did you two and T Bone Burnett come up with the film's songs? What's the story behind the music? Ethan Coen: A couple of the songs were specified in the script as we were writing it. What might go in a couple places, but certainly not most of them. T Bone was the first person we sent the script to when we finished it. Basically, that conversation just started as soon as we were done with the script and knew that we were going to do the movie. Joel Coen: We were thinking specifically about Dave Van Ronk when we were writing the script. Lots of the songs in the movie are songs he sang or were associated with him or that he recorded, so some of those songs were there from the beginning. Then we do what we always do with T Bone: "There's this part of the story. What's going to happen here?" After you were cast as the title character, were there any songs you brought into the conversation? 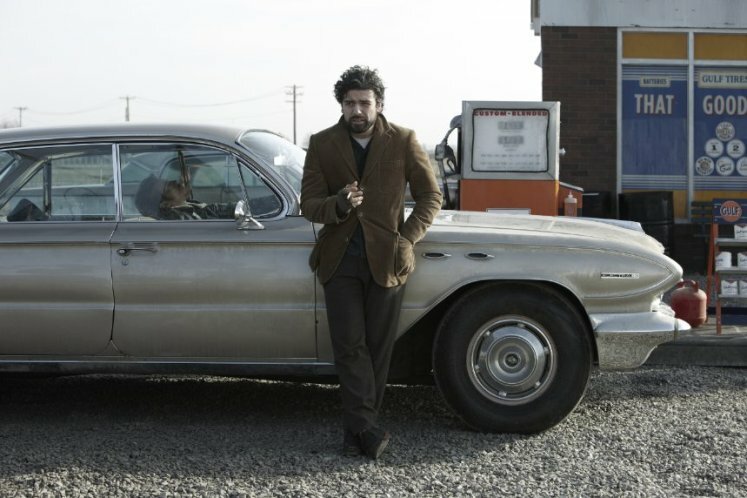 Oscar Isaac: I think I brought in "Green Rocky Road" � the one I played in the car. Because it wasn't in the script, the big song for me was the one I play for F. Murray [Abraham]. On that one, there was some time when we weren't sure what it was, and I was looking at a bunch of different songs as well. So it was a surprise when that one ended up being the one. John, you didn't sing in this film. John Goodman: [jokingly] I did, but internally. My interior monologue was scored. How do you pick the subjects in your films � is failure more interesting to write about than success? Joel Coen: The success movies have been done, haven't they? From a story point of view, it's less interesting. In fact, I don't even know how to start to think about that one. How do we pick our subjects? Ethan Coen: We just talk about whatever; it just comes out of a conversation. Picking a subject implies there's something really specific we're picking, but it's kind of not like that. We talk about whatever. In the case of this movie, it was a scene, the Village, the folk revival and the possible ideas about a character. It's a very, very, very vague conversation that got progressively more concrete. John, your character, Roland Turner, appears in the scene where Llewyn takes a road trip to Chicago to see if he can boost his music career there. Do you represent some kind of siren? John Goodman: I thought that was understood. I must work harder. Ethan Coen: John's last couple of movies were Homeric things. We kind of thought of it as an odyssey in which the main character doesn't go anywhere. An actor portraying Bob Dylan makes a small appearance at the end of the movie. Given so many of the traditional songs compared to Dylan, who wrote his own material, what about people performing other people's material versus original material? Can you talk about that contrast in the movie? Joel Coen: That's a big subject and goes to the heart of what folk music is, in a way. It's the cultural moment we were talking about that was specifically on our minds when we were thinking about the story, because we wanted to do something that was set in the scene before Dylan showed up. We weren't that interested in the period. He came onto that scene and he changed it. He was such a transformative figure and people know more about that, so it seemed less interesting to us. But that's right; there's a big difference. There were people writing songs and singing them before Bob Dylan showed up. But the era of the singer/songwriter, there was sort of a pivot that was happening right around there, in terms of traditional folk music and people who were writing their own stuff. Dylan was one of the big catalysts of that. There was an obsession with a certain kind of authenticity in traditional music that people who were involved in this early folk revival were very concerned with. That had sometimes both interesting and ironic repercussions and aspects to that. That was interesting to us. Yeah, we were thinking about that. It's a big, big subject. 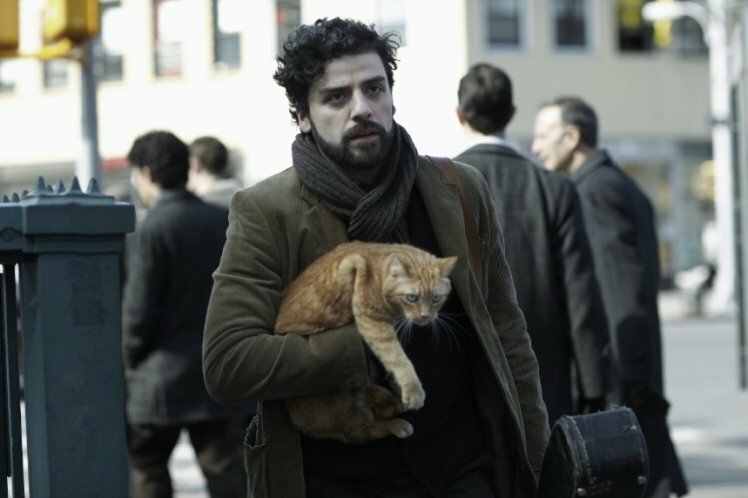 Oscar, do you have anything to add about Llewyn Davis' struggle with his authenticity in being a musician and what you brought to the character? Oscar Isaac: The idea is of the guy who's trying to be authentic and only play his old songs as the culture around him and the scene are moving on from that. If they're moving on, what he is supposed to do, if playing old songs is how he feels he's most true to himself? What's interesting is that, in a way, these folk singers were like curators, like DJs that would collect these songs and present them. When you started collecting records, it was like, "I've got the original there. Why do I need you to sing it to me? I want to hear new stuff." That kind of became the new movement. Of course, Dylan came around and synthesized what the Beat poets were doing, and traditional music, and made this new thing, and people got jazzed about that. There's a scene in a coffee shop when Llewyn wrings water out of his wet socks. When during the process of making the film did you come up with that image? Oscar Isaac: It was in [the script]. There was a little picture too. What's cool is that every day you get your sides � the words you have to say for the day, your lyrics � and at the back of the sides, they have the storyboards printed out, which is a great way for everybody to understand what's happening. Not everybody does that. I do remember the picture of the wet shoe. It seems like, "What's a horrible thing that you can have in a diner, in a place where you're stuck? A cold, wet foot." John Goodman: I mainly read their scripts for the pictures. In this film, the atmosphere is pretty bleak, and everyone looks really washed out. The sky is always grey, except for when Llewyn sees his father. Why did you make those color choices? Oscar Isaac: It was actually a warm winter, so we were rushing around trying to get these bleak shots, but there were leaves coming in the trees. We actually had to fake a lot of that. Ethan Coen: We [filmed this] two years ago, so we were fighting the oncoming rain to keep the bleakness. Actually, in most of the shots, it supplied snow. If you look, you can see blooming trees where there shouldn't be. When you think about the folk scene, you think about New York in the winter. You don't want to see it in the summer, when the city's green. Basically, the cover of The Freewheelin' Bob Dylan is kind of that look, and that weather is part of that. Joel and Ethan, when you first discussed this movie, were you thinking about filming the movie in black and white, like a D.A. Pennebaker documentary? Why did you decide to film it the way that you ultimately did? Joel Coen: That's interesting. That was an early idea. It's very difficult to make black-and-white movies nowadays. That aside, just from a broader, stylistic point of view, we were sitting down with [cinematographer] Bruno Delbonnel, who shot the movie, trying to figure out all of those things. We found ourselves starting with that idea, but then as we started to break the script down into specific shots, we realized that so much of what we wanted to do from a shot point of view just didn't lend itself to that. There's a bit of a residual idea of that in the coverage in the coffee house. The first shot in the movie starts off with a hand-held shot, actually. Ethan Coen: The first shot is actually a very long take, which we could afford to do because all of the performances were so good. It was a quietly hand-held take. We thought, "All right, we'll do it at the beginning of the movie, and it'll feel vaguely good when it comes back at the end." But it kind of fell away from the rest of the movie. Joel Coen: We started thinking, "We want to follow this cat down the hallway." You can't really do that. The idea of doing that, from a visual point of view, or how you design the shot, is sort of antithetical to making it look like a Maysles Brothers documentary. That transition wants to feel controlled. So those types of things were starting to push us away from that as we started to discuss the idea of what the movie is going to look like. 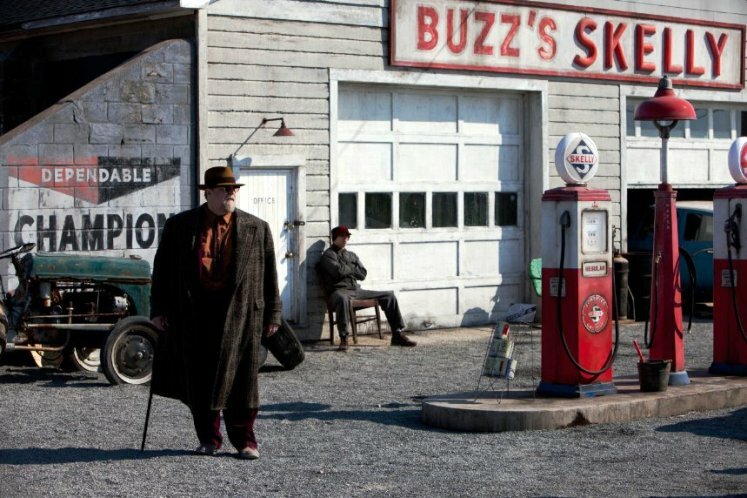 Ethan Coen: Also, it's connected to the other thing: that kind of slushy, gray, New York � not literally monochrome, but that de-saturated look. That seemed to tug away from that idea of black-and-white v�rit� idea. You said in a New York Times interview that you were thinking about switching to digital. Is this going to be the last movie you shoot on film? Joel Coen: It's possible. I'm not wildly enthusiastic about the idea. This movie was shot on film for a number of reasons. One of them was we were working with a DP that we only had done one short thing with in the past. Bruno also had not shot anything with a digital camera before; he'd done everything on film. We discussed it. We thought it would be one more complicating factor in a new relationship. It was one extra step too far. I am glad we shot it on film. But you know, it's all a hybrid thing now. You shoot on film, but it all goes into a box. It all goes into a computer and, of course, gets heavily manipulated. Still, there is something that looks different between movies that are shot on film, even though they are finished with a DI [digital intermediate], and movies that are shot with an Alexa or some other digital camera. Even the projected is DCPs [digital cinema packages]. But that's what's happening. It's probable that the next [movie we make] will be shot digitally. This film is the first time that the Coens and John Goodman have worked together in a long time. Why was this the movie to reunite John with the Coens? Do you guys have a sort of shorthand in working together? Ethan Coen: We just knew that John would understand it. John turned us on to Charles Portis, the novelist who wrote True Grit. His other novels are contemporary, but all of his novels have an old gasbag character, kind of like John's character in the movie. John Goodman: The shorthand part is hard to describe, so I won't try. It's something we've always fallen into, I think, since Raising Arizona. They asked me to do a take one time while I was driving an automobile. I said, "Oh, you mean a Spanky take?" They knew what I was talking about. I knew Spanky from The Little Rascals. Those kinds of little things that help make the day go ever so much faster. Joel Coen: We were also doing a shot in Barton Fink where John was answering the door. Ethan said to him, "John, we have a little bit more ropey snot in our next take," and John said, "I'm your man!" John Goodman: I think it was, "I'm your boy!" Ethan Coen: We asked John to hit a mark, so we said, "John, you Everett Sloane over to that mark." John knew what we were talking about. Your films are often anchored in a specific time, place and scene. This time it's the early '60s folk scene. Do you have a list of stories tied to specific times or places that you want to do or are interesting to you? 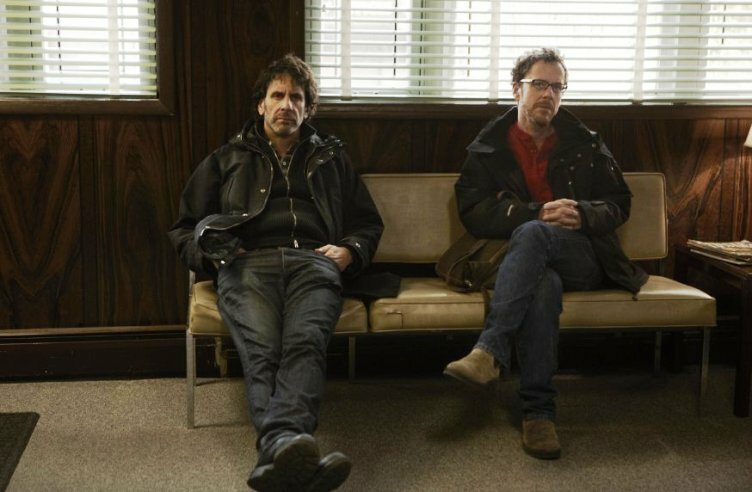 Joel Coen: It's hard for us to imagine stories abstracted or divorced from a very specific locale. I couldn't imagine us doing a story that could happen anywhere or just in a generic city. It's hard for us to get any traction or start anything that way. Why we were thinking specifically, "Let's start here in New York in 1961 during the folk scene," I don't know. We listened to a lot of music, and we were interested. 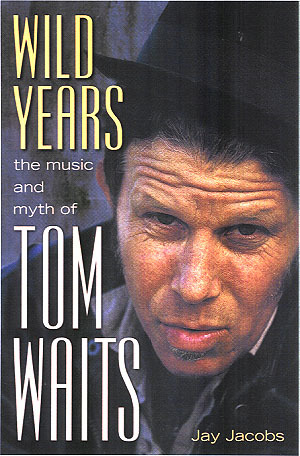 We got a number of books, including a memoir written by Dave Van Ronk about that period that got us thinking about it. That was one of the things stimulated it. Ethan Coen: The scene got us going, but then I was thinking there was this character who seems to fit in that scene. As much as his concerns are his tortured relationship to success and the whole idea of what you asked about: making new crap out of the old crap. Those are both things that were concerns of the character in that scene � not wanting to sell out, but wanting to perform and reach people, and also the authenticity thing. That's not informative but compact. 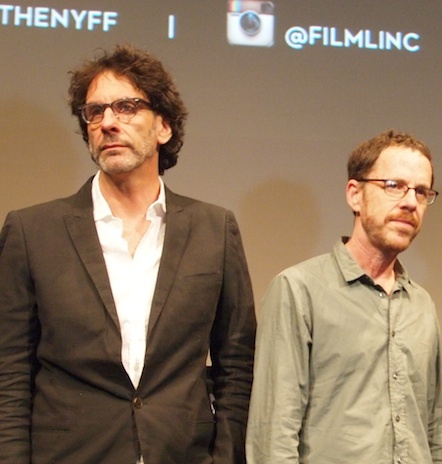 CLICK HERE TO SEE WHAT THE COEN BROTHERS HAD TO SAY TO US IN 2009! #4 � 2013. Courtesy of CBS Films. All rights reserved. #5 � 2013. Courtesy of CBS Films. All rights reserved. #6 � 2013. Courtesy of CBS Films. All rights reserved.